Peter Rees will be speaking at Concord Library about his book Bearing Witness which chronicles the life of Charles Bean, the famous Australian war correspondent and official historian of the First World War. Charles Bean served alongside AIF troops at Gallipoli and on the Western Front, so he had first hand experience of the events of the First World War. In addition to editing the Official History of Australian the War of 1914-18, Bean was a driving force behind the establishment of the Australian War Memorial in Canberra. Peter Rees will be speaking at Concord Library on Monday, 11 May 2015, 6.30pm for 7pm start. Bookings can be made online. 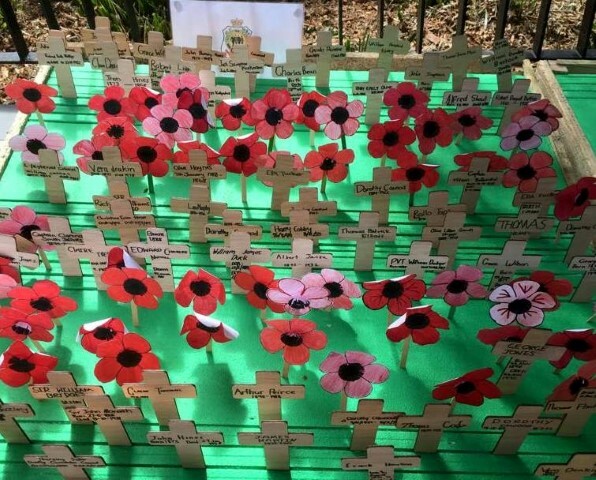 The photograph, above, shows crosses and poppies prepared by local school students which were displayed at the Dawn Service at City of Canada Bay Civic Centre. Look closely, there’s one for Charles Bean (top row, centre). 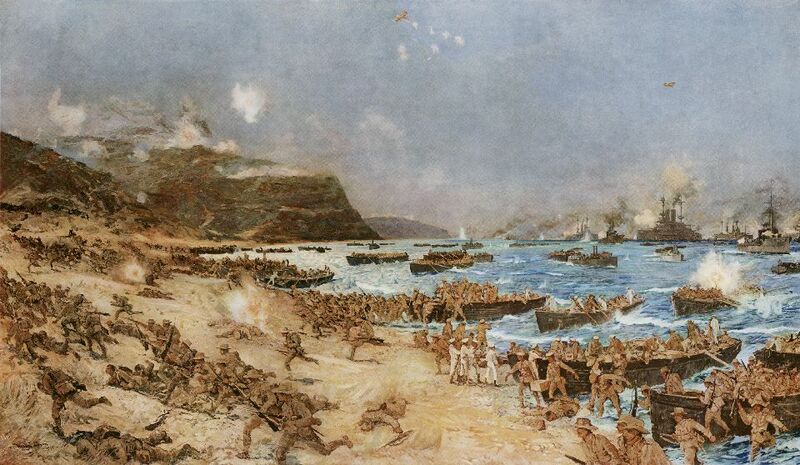 The City of Canada Bay, like many councils around Australia, holds a print of The Landing at Anzac, 25th April 1915 by Charles Edward Dixon (1872-1934). Prints of the painting were widely distributed throughout Australia following the First World War. The painter’s great nephew, Ted Smith, even recalled seeing one on the wall of a hut in New Guinea during the Second World War, noting that ‘It inspired a whole generation of Australians’. It is not certain how many of the 1658 local men and women who enlisted in the First World War served at Gallipoli. At least 16 died at Gallipoli (their names are listed below in comments). The print is currently on display at Five Dock Library. The original painting is held by Parliament House, Canberra. The Drummoyne War Service Record has a striking title page of coloured vignettes based on actual war-time photographs. 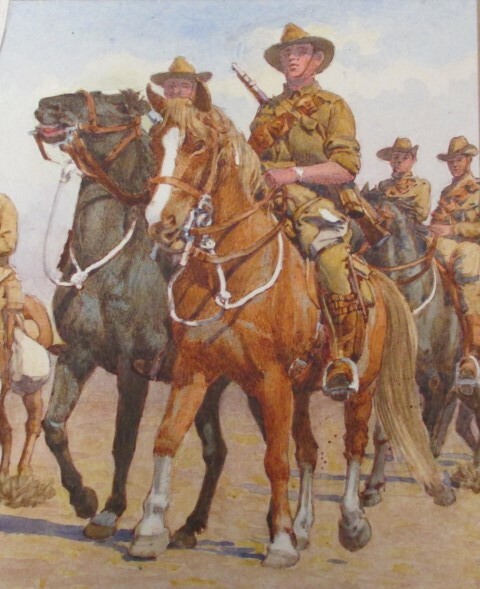 The illustration of a Light Horse soldier is based on a photograph which first appeared in the Sydney Mail, 7 October 1914, and has an interesting local connection. It shows Trooper William Harry Rankin Woods (on the right) at Roseberry Park Camp, near Merriwa, NSW. Trooper Woods died of wounds received at Gallipoli on 15 May 1915. He was an active member of the Sydney Rowing Club at Abbotsford and is commemorated on the Five Dock War Memorial. Trooper Woods’ story appears in the new book Five Dock RSL Sub-Branch, 1918-2015 by Mike Davis. The Drummoyne War Service Record is currently on display at Concord Library. For 97 years the Five Dock RSL Sub-Branch has been committed to serving ex-servicemen and their dependents. The Five Dock RSL Sub-Branch is one of the oldest clubs in Australia, having been issued with its Charter in 1918, two years after the RSL movement began in Australia. 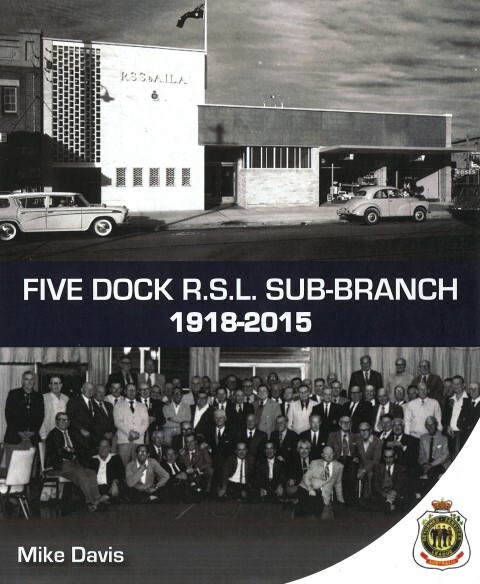 To coincide with the Centenary of Anzac, a history of the Five Dock RSL Sub-Branch has been published to record the club’s proud tradition of service. Despite the scarcity of remaining records, the author Mike Davis has managed to piece together the stories of those who have contributed to making the club such a special part of our community. A particular feature of the book are the fascinating stories behind the names on the Five Dock War Memorial, of those who gave their lives in the First World War. The book is a fine tribute to those who served. Commemoration of the Centenary of Anzac commences locally this weekend with services at Kokoda Track Memorial Walkway and Five Dock. The Kokoda Track Memorial Walkway will host a dawn service on Sunday, 19 April at 5.30am. Thousands are expected to gather at the memorial for this special centenary Dawn Service which will feature the Navy Band and Sydney Children’s Choir. There will also be a remarkable art installation of five thousand silk poppies. 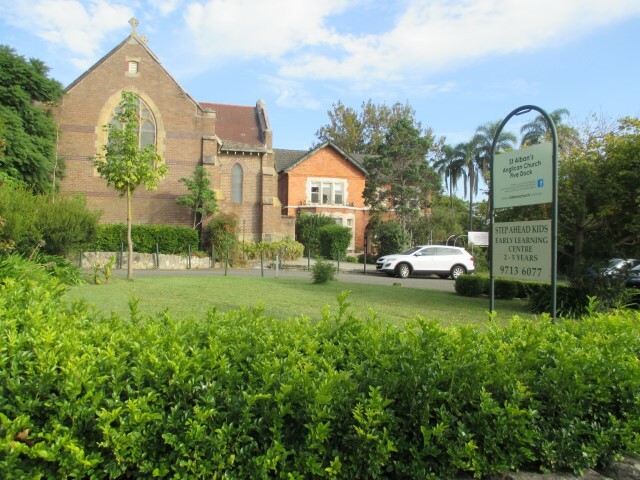 Five Dock RSL will be hosting their service at the newly upgraded War Memorial at Five Dock Park on Sunday, 19 April at 11am. This will be followed by a book launch of a history of the Five Dock RSL Sub-Branch at Club Five Dock. 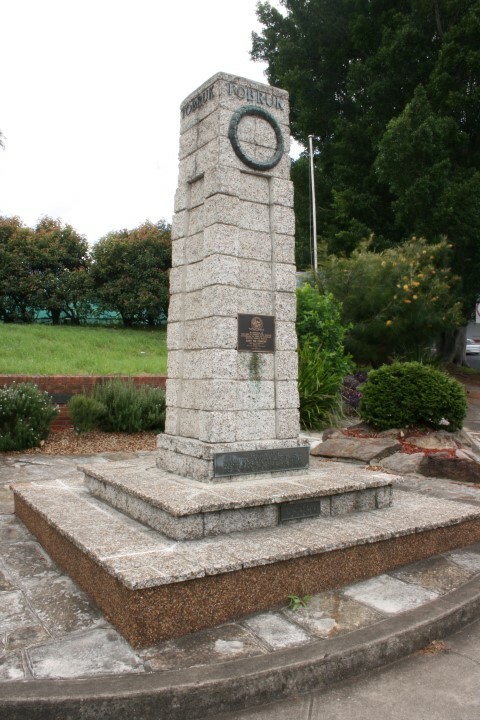 Drummoyne RSL will be hosting their annual Service of Commemoration at the memorial in front of the City of Canada Bay Civic Centre on Anzac Day at 5.45am. There will also be Dawn Services at Concord RSL at 5am and Breakfast Point War Memorial at 5.45am. 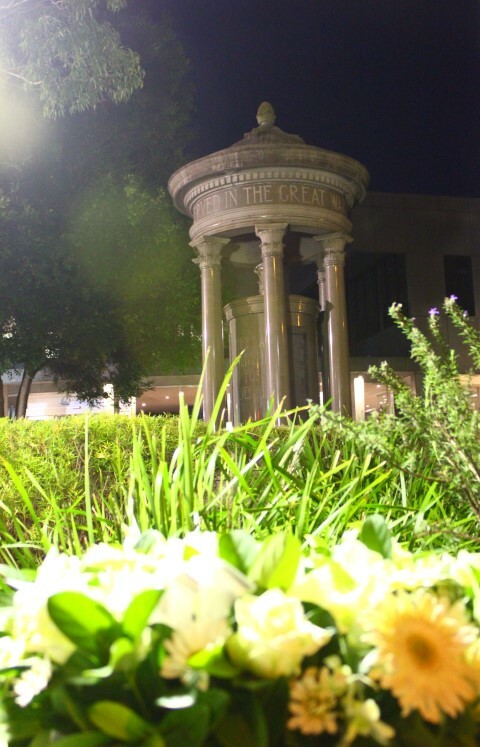 A service at dusk will be held at the Concord War Memorial on Anzac Day at 5pm. ‘Anzac Remembrance under the stars’ is a special Youth Week activity organised by the City of Canada Bay Library Service. The event will be held at St Alban’s Church grounds, Five Dock on Friday, 17 April, 6-9.30pm. The evening will showcase a selection of videos produced by local students as part of the ‘More than just a name’ project, followed by the film War Horse. It’s quite appropriate that the event should be at St Alban’s which has an honour roll listing the names of over 200 local men and women who served in the First World War. The honour roll has an ecumenical flavour. It included relatives of parishioners as well as their friends, so it lists people from other denominations, such as Methodists and even a member of the Plymouth Brethren. The Reverend John Boardman of St Alban’s served as a Chaplain during the First World War. His son, Harold Boardman, served in the 18 Battalion. To coincide with the display at Five Dock Library and the Centenary of Anzac, a set of seven postcards have been released. The postcard images are those used in the light boxes on display at Five Dock Library and were subjects of the ‘More than just a name’ video project. The postcard, above, is of Sergeant Francis McGraw of Five Dock who enlisted in March 1916. He served in France and was awarded the Military Cross. 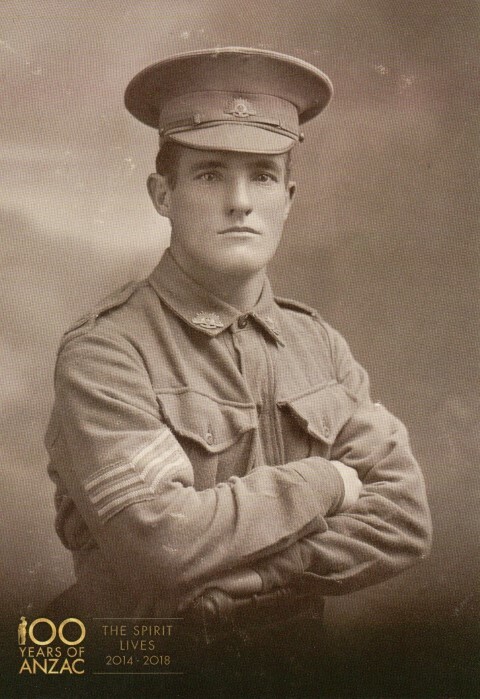 He died of gas poisoning on 25 April 1918, aged 28 years (Australian War Memorial photograph H06524). Other postcards show Stephen Grimsley, Stanley Watson, the Seabrook brothers, Eric Stutchbury, Walter Broooks, Harold Henley and Thomas Henley. The postcards are available free from Five Dock and Concord libraries. Streets throughout the nation have names which commemorate First World War battles and events. When the Liryclea Estate at Russell Lea was subdivided in 1915, planners were clearly conscious of the recent battles of Mons, Reims and Liège when the streets were named. Tait Street, in the same subdivision, was named after William Smiley Tait, a well-known Sydney businessman who owned Liryclea at the time. His son William Goth Tait served in the 12 Light Horse in the First World War. 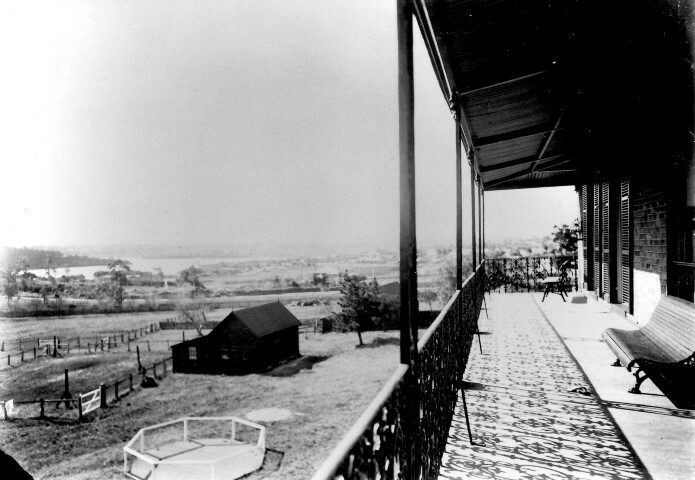 The photograph, taken prior to subdivision, shows the view from the back verandah of Liryclea house, looking towards Parramatta River. The City of Canada Bay has installed commemorative plaques at Mons, Reims, Liège and Tait Streets explaining the background of the names. The plaques were unveiled last Saturday by City of Canada Bay Mayor, Angelo Tsirekas in the presence of members of the Tait family. There are many other street names in the City of Canada Bay with First World War associations, including Argonne, Lemnos, Mena, Warsaw, Lloyd George, Kitchener, Jellicoe, Empire and, of course, Gallipoli Street. Five Dock has long held a special place in the remembrance of Tobruk. The obelisk at the corner of Lyons Road and Great North Road was unveiled in 1968. It is modelled on the memorial at the Tobruk War Cemetery. Adjacent to the memorial is a row of trees planted by the Ladies of the Rats of Tobruk Association and the mast of the HMAS Vendetta which played a vital role in supply and reinforcement at Tobruk. Each year veterans have met at the memorial on ‘Tobruk Sunday’, the Sunday in April closest to the date when the siege began: 10 April 1941. This Sunday, 12 April 2015, will be the last occasion that the Tobruk veterans will meet at Five Dock. The City of Canada Bay Heritage Society once again will be hosting an open day at Yaralla on Sunday, 26 April 2014. Visitors will be able to enjoy a guided tour of the stables, dairy, squash court and gardens of the Yaralla Estate. There will also be a display of historic photographs, Vintage Cars and a petting zoo for children. Bookings are essential. During the First World War, Eadith Walker, the owner of Yaralla, was a great supporter of the Red Cross and injured soldiers. In April 1917 she loaned her other residence, Shuna at Leura in the Blue Mountains, as a convalescent hospital for soldiers with tuberculosis. 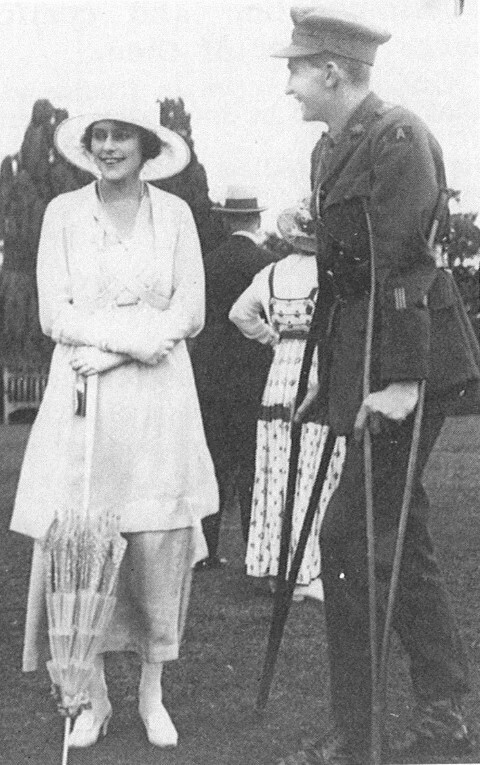 The photograph shows a wounded lieutenant at a Yaralla garden party in 1918.